We are a team of certified fitness professionals who are motivated to help others find balance in their lives, a passion for fitness and inspire lifestyle change for our clients. At The F.I.T. 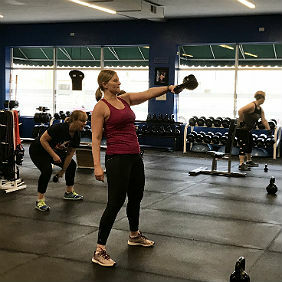 Lab, we strive to give clients a “personal” training experience that is unique, motivational and innovative while providing an environment that is both challenging and supportive. As a staff, we believe that there is a fitness activity that can motivate all people and help them achieve physical and mental harmony. Rather than utilize one method, we choose to use many different types of fitness modalities to give our clients balance and help them reach their fitness goals. By utilizing components from many fitness models, we will place our own unique footprint on the fitness industry. Work one on one or in a small group with a certified fitness professional. These sessions allow a client to get the personal attention they might need to achieve their goals. All programs are individualized and target specific goals of the individual or small group. Come and work your entire body in this class. We will use strength and circuit training to get your heart rate up and work your muscles to increase your overall fitness level in a fun and supportive environment! 45 minute class. This high intensity class is suitable for all fitness and ability levels. The class can be catered to the needs of the clients. Whether you are person who is attempting to lose weight or you're a fit individual looking for a great fat shredding, high-intensity workout. No cup of coffee can wake you up like a good workout. Jolt and Bolt will meet outdoors when weather permits, to enjoy the fresh air, beautiful sunrise, and morning birds, all while working up a sweat with body weight, HIIT, and team exercises. 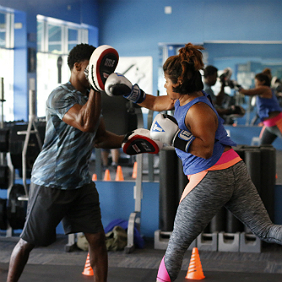 This class uses conventional boxing, Muay Thai and other martial arts striking skills as well as unorthodox combat techniques to provide a high intensity workout. This training is designed to help athletes improve their speed, strength, explosiveness, mobility, agility and flexibility. Each athlete is individually assessed and programs are designed to address all areas necessary to help them be the best athlete they can be! This class gives clients the opportunity to combine a group of classes to create a program that matches their interests. Class options include: Hip Hop Yoga, HIIT, Strength Training, Cardio, Core and More! This is an introductory class designed to assess each new client. Clients will be assessed for muscular imbalances, flexibility, joint mobility, as well as overall strength and conditioning. This strength-focused class uses body weight and functional exercises to build a strong foundation. As clients master their own body weight, they will be progressively challenged with greater loads. In 60 minutes, you’ll build muscle, burn fat, and increase your metabolism using HIIT (high intensity interval training) exercises. Each session will be uniquely created to make you sweat. The kettlebell is one of the most versatile pieces of equipment in a gym. Learn how to properly and safely execute one and two handed swings, learn the get up which is a total body exercise, core activation, and more. This class is 60 minutes and includes high intensity movement and kettlebell education. Workout with friends, family co-workers or join a new group in a fun, supportive environment. Unlike large group classes, our semi-private classes are specifically designed to meet the needs of each particular group. This holistic program will equip you with the tools to make a permanent lifestyle change. Challenges are 8 or 10 weeks and are done with cohorts of 15-30 people. Receive all the professional support that you need to transform your body and life. 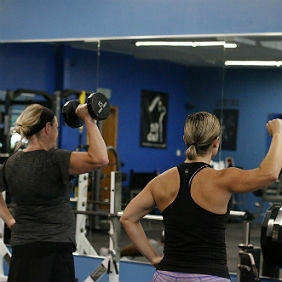 During one on one personal training sessions, you are the focal point. Each training session is designed to meet your individual needs. Get the exclusive attention that will make you feel like a VIP client. This class will work the areas we need help with the most. We will use circuit training to increase your heart rate and focused exercises on your glutes and core to high lift, tighten and tone your booty and belly! Come prepare to work hard and get fit! 45 minute class. This class has workouts designed strictly for women! In this class you will focus on all the areas that women struggle with. 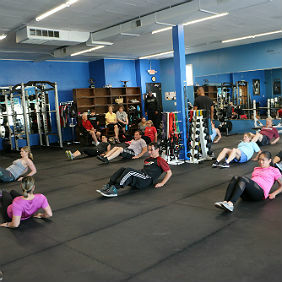 Workouts will vary every class and you will be given modifications that you can do at home. StrengthIN Yoga focuses on linking breath to movement. It will allow you to calm your mind, stretch and strengthen your muscles and recognize the mind/body connection. StrengthIN Yoga is appropriate for all yoga experience levels! Owner, The F.I.T. 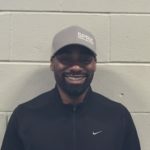 Lab, Co. & Chizel, Inc.
Tyrone, an American Council on Exercise (ACE) certified personal trainer and licensed physical education teacher is a three-time state high school track and field champion, former division I athlete and national track and field competitor. 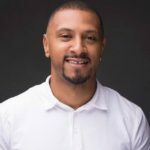 Tyrone holds two Master’s degrees in Applied Kinesiology and Sports Management from the University of Minnesota. As a trainer, he prides himself in creating cutting edge fitness routines that are based on the pillars of compound and functional movements. During a career that has spanned over two decades, Tyrone has worked with thousands of clients from ages 7-65+ and excels at designing innovative, individualized programs that can suit any client from elite athletes to everyday working professionals. Minor continues to stay fit utilizing many types of activities ranging from boxing, sprinting, strength training and other modalities. At age 40+, Minor maintains a body composition in the single digits and lives by the motto “I can’t teach it, if I don’t live it”. You can reach Tyrone at thefitlabco@gmail.com or chizelinc@gmail.com. 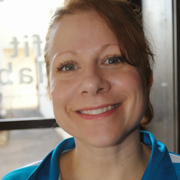 Jamie is a Registered Yoga Teacher, Certified Personal Trainer and owner of StrengthIN, Inc. Her passion for helping others achieve their fitness goals comes from her fundamental belief that strength starts from within – sometimes we just need a little help with finding and developing that strength. 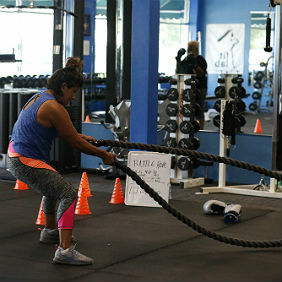 She enjoys teaching classes and providing personal training at The F.I.T. 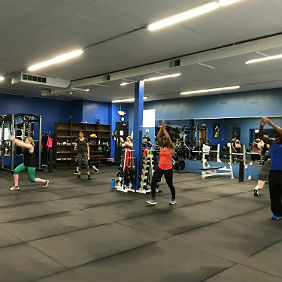 Lab where she creatively combines her background in yoga and weight lifting to enhance her client’s physical fitness and mind/body connection. You can reach Jamie at strengthininc@gmail.com. 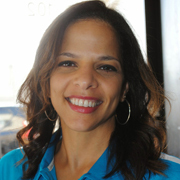 Michelle is an ACE certified personal trainer, a licensed physical education teacher and owner of Avarielle Fitness. She has her masters in Developmental Kinesiology from the University of Minnesota. 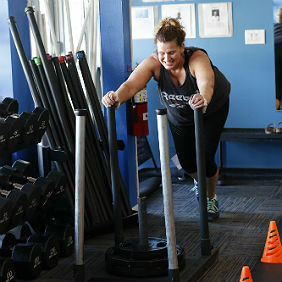 She is also certified in Tabata and TRX training. Michelle’s passion is not only to train women to be healthier and stronger, but to also educate them on age is just a number. Being a 40+ mother of three and gaining over 70 lbs with each of them, she knows the struggles that women face taking care of their families along with dealing with everyday life! She enjoys teaching classes that help women to become stronger and feel empowered. She will push you beyond where you thought you could ever go, and be right there with you to celebrate your successes! Her motto is “transform yourself”, so that you can be the best you that you can be! I graduated with a B.S. in Exercise Science from Dickinson State University in 2012. After graduation I worked with the DSU football program, facilitating their strength and conditioning program. While in Dickinson I also had the opportunity to work with a Special Olympics powerlifting athlete and this is where my passion for one on one personal training began. In 2013, I moved to the Twin Cities and began my career as a full time personal trainer at LA Fitness. During my two years with the company I developed a passion for helping people reach their goals through strength training.In 2015, I started Competitive Wellness, with a goal of helping people of all backgrounds reach their goals in fitness. I have worked with clients ranging in age from 9-84, with goals of weight loss, strength increase, athletic development, diabetes prevention and maintenance, and clients that just want to start living a healthier, happier life. I believe that as humans we compete every day to become a better version of ourselves. My education includes obtaining a Masters of Education in Sport and Exercise Science from the University of Minnesota and during this time I completed an internship with the U of M Gopher Olympic sports teams. Additionally, I am a certified strength and conditioning specialist (CSCS), USAW performance coach and I am Reflexive Performance Reset level 2As certified. My services include: one on one personal training, small group and general strength training, reflexive performance reset, athlete development and powerlifting coaching. As an athlete, I’ve competed in powerlifting and I hold current meet bests of a 765lb squat, 410lb bench, and a 675 deadlift for an 1850 total raw and drug free. Reflexive Performance Reset Certified. Current USPA MN State Chair. Current USPA State Official. Current UPA State Official. Michael brings passion and enthusiasm to each of his endeavors, whether business or personal. He treats every waking moment as an opportunity to learn, contribute and take action. This motivation is the driving force enabling him to not only reach his own goals, but also help others achieve theirs. Michael has been working in the fitness-industry for 22 years. He earned his B.S. Degree in Kinesiology from the University of Minnesota. He earned his 670-hour Comprehensive Pilates Certification and is also a Personal Trainer. 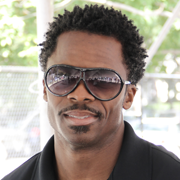 Michael is a dedicated advocate of creating – his philosophy – wellness through awareness. Through his own athletic achievements in Pilates, personal training, outdoor survival & tracking, worldwide adventures, martial arts, skiing, sailing and cycling, he has continued to develop and expand his fitness expertise. He shares this knowledge with his clients as they strive to reach their own goals. He enjoys working with clients to begin a new program and challenge clients that have been training for years to get the most from each workout. As a United States Marine veteran, Michael cultivated his own disciplined work ethic. His experiences in the military provide a strong foundation that has helped him successfully work with varying clientele. Michael doesn’t sit still and wait for life: he experiences it. His loyalty, professionalism, hospitality and expertise is unmatched. He is a catalyst for change, knowing that a deep emotional commitment is at the heart of achieving some of the most ambitious goals with clients. His caring nature and ability to guide and motivate has produced life-changing shifts. While each day brings excitement and innovation, it also brings gratitude for his family, clients, coworkers, community, experiences and opportunities. Paul Montgomery, owner of Pajemo Fitness is an ACE certified personal trainer who specializes in body fat reduction, weight loss and general strength and conditioning. A former high school track and field athlete, Paul not only maintained an active lifestyle during his collegiate years but he has also been able to stay fit while working over a decade in corporate America. Considering his history, Paul understands how difficult it is to balance work and a healthy lifestyle and has seen firsthand what can happen to individuals who do not make their health a priority. 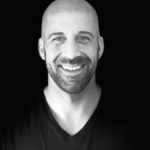 Paul has the ability, passion and experience to help you improve your health and fitness and consequently help you develop into the best version of yourself. You can reach Paul at Paul@pajemofitness.com. Miguel Schultz, is an ACE Certified Personal Trainer. Miguel holds a Bachelors of Exercise Science degree and is Functional Movement Systems (FMS) Level 1 certified. 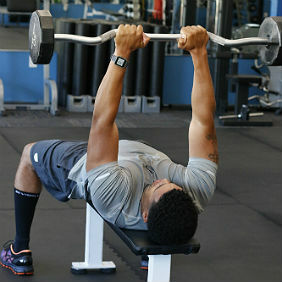 Miguel is also the owner of Forge Forward Fitness. Forge Forward realizes that no two people are the same, and no plan should be either. We help those that have failed before but do not give up. We are relentless in our pursuit for our clients to see results. We expect our clients to be just as relentless. Be healthy, be happy. Miguel has experienced first-hand low back pain due to slipped discs, “shoulder issues¨ knee injuries due to sports and other injuries Through correct movement patterns and correcting weak areas Miguel is able to help those with past injuries live life with less pain. You can reach Miguel at miguel@forgeforwardfitness.com or contact@forgefowardfitness.com. Robert “RL” Davis, owner of SPRK Personalized Fitness has been an ACE and NASM certified personal trainer for over 15 years. RL has extensive experience assisting clients from athletes to the “Golden Age” population. In addition to being a veteran trainer, Robert is also owner of Righetous Souls clothing line (righteousouls.com). 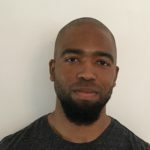 Robert, a NASM performance enhancement specialist, has used corrective exercises, stress reduction techniques and individualized programs to improve the lives of countless clients. You can reach Robert at rldavis71@gmail.com. DeAndre, owner of Acquiesce Fitness is an Ace certified personal trainer who believes, when you look good you feel good and when you feel good, you look even better. DeAndre is dedicated to helping individuals reach their personal goals, to maintain and/or attain physical health, through innovative training. DeAndre specializes in functional training and core strengthening. As a father of three, a teenager and a set of twin toddlers, DeAndre knows first-hand what it takes to balance life, work, fitness, and family. You can reach Deandre at w.deandrem@gmail.com. Theresa Behnke (RYT) has her 200-hour power yoga certification, certification to teach yoga sculpt and advanced training certifications. She has taught young children through elderly clients how to be present in the bodies they are in through vinyasa and hatha classes tailored to individual’s needs. With her coaching and teaching background, Theresa has specialized in working with injury rehabilitation and yoga, and she has brought her love of laughter and lightness to her students by mindfully helping them let go of that in their lives that does not serve them. Having battled bulimia and after three knee surgeries on one knee, Theresa is convinced that yoga has literally saved her life: she passes on that life by teaching from a seat of service that seeks to honor those in her classes.You can reach Theresa by coming to a class of hers at The Fit Lab, Inc. or by contacting her at theresatheyogi@gmail.com. 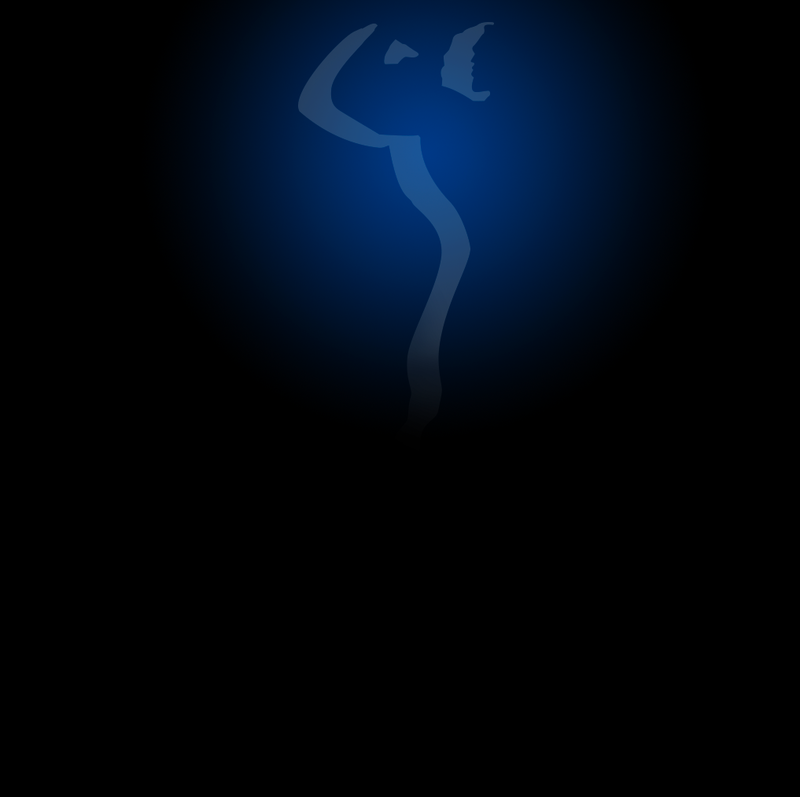 Click the images to see the before and after.